Solitude Castle in the forests to the west of Stuttgart also is the work of the constructional minded Duke Carl Eugen. He appreciated the location "At the Five Oaks" "far from the turmoil and disappointments of the world" when he wanted to rest while hunting. The Rococo Castle Solitude, which cannot hide its relationship with Sanssouci in Potsdam, was built in the years 1764 to 1775 by the building masters Friedrich Weyhing, Philippe de la Guêpière and Reinhold Ferdinand Heinrich Fischer. The castle itself served for the purpose of representation, for the accommodation of living, social, dining and servants' rooms, on its back side a series of so-called cavalier's buildings were constructed. 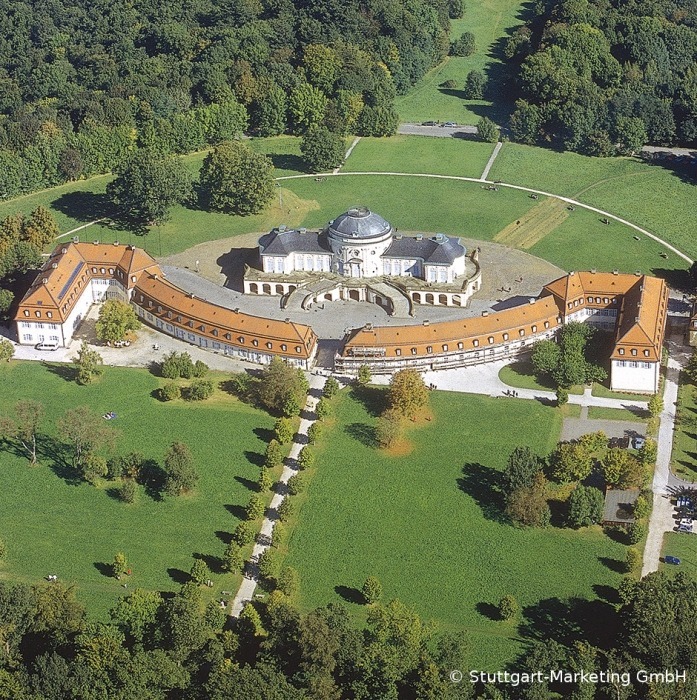 The facility is connected with the residence castle in Ludwigsburg through a twelve kilometer long, straight street, the course of which can easily be recognized. The High Carls School, a favorite project of Carl Eugen, began its work at Solitude. Schiller's father, the Capitain Johann Kaspar Schiller, was "intendant" at Solitude in those years. From 1972 to 1983, the castle was completely renovated. 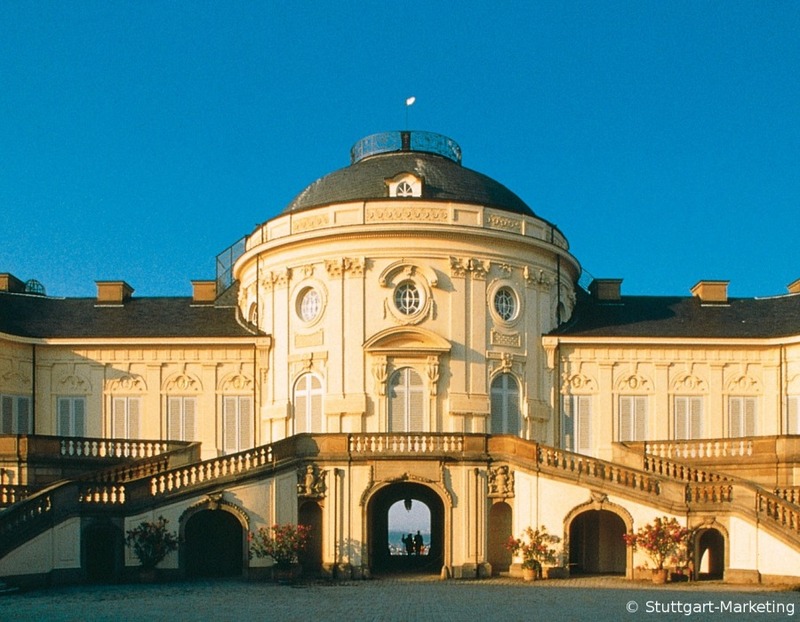 Today it is the home of the Academy Castle Solitude, founded in 1990, a Swabian "Villa Massimo" for art scholarship holders from around the world who have been given living, working and exhibition space in the cavalier's buildings. Further information here: Schloss Solitude.